This first part of this series posed the idea that Rocket Toss is a play that can be overused and used for the wrong reasons. The second installment looked at why the play can lose it’s utility. The third part of the series examined how the Freeze Technique and the Blast Adjustment can aid in your execution. Today’s article will take a look at options you have other than running Rocket Toss while using rocket motion. 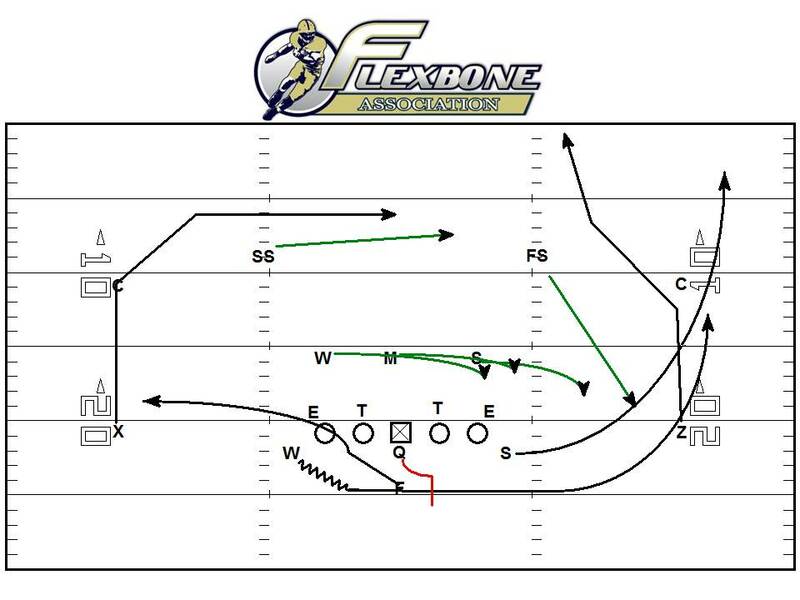 The best choice off of Rocket Motion in the run game is Midline Lead. This play looks exactly like Rocket Toss before the ball is snapped. The advantage for your team is that while it looks like Rocket Toss presnap, you are in turn running the most restrictive play in the entire offense. What I mean is the defense has to defend the ball being run directly over the center, rather than being tossed and run as wide as possible. What you have now done is to combine the most restrictive play in the offense with the most expansive play in the offense. This idea simply cannot be overlooked. 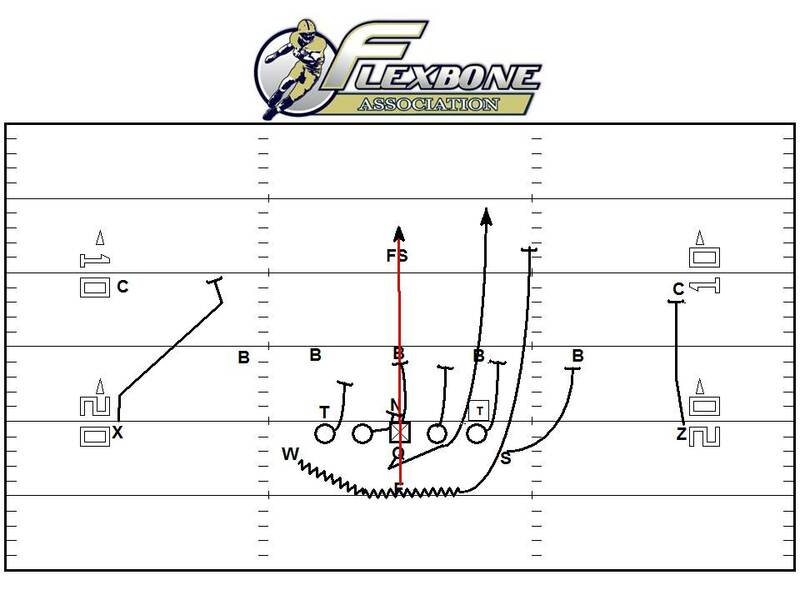 These two plays when used in conjunction with each other will stress the defense to the extremes. 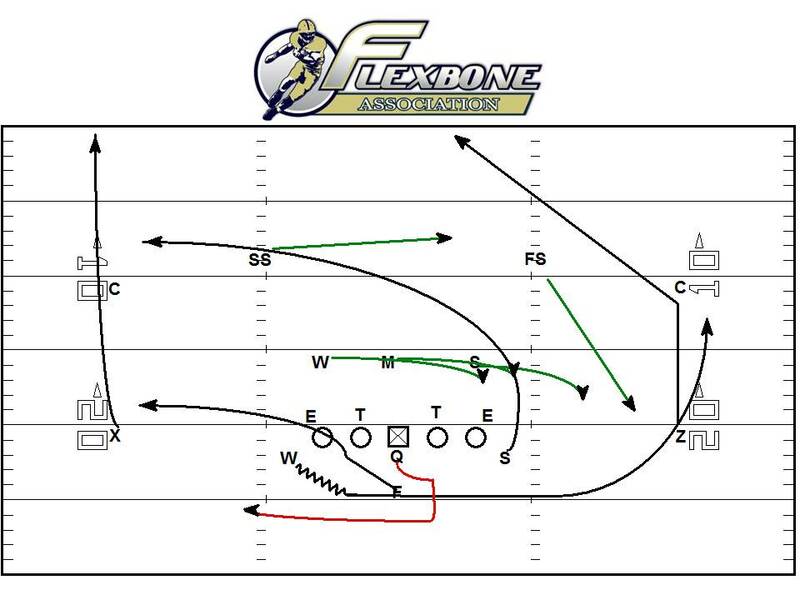 BSA – Rocket motion, past heels of FB, lead through inside leg of tackle to PSLB. The Backside A-Back will go through the B gap looking to block level two to level three (PSLB to FS). In each of these cases it’s important to remember the Backside A-Back is blocking for the quarterback. If the B-Back has been given the ball the block on the scraping linebacker is inconsequential. The Playside A-Back is responsible for the fold player. In this case its the OLB. We have to assume against rocket motion this guy will widen, thus become easier to block. The Backside A-Back will be looking for the Mike hard scraping over the top. If the Mike is effectively taken care of he will continue to level three. Against a 3-3, the rules would have to change just slightly. The Playside Guard will go right to the Mike-Backer. The Playside Tackle will veer release to the stack. The Backside A-Back will insert outside the read and look to block the stacked backer to the Free Safety. There are other options available to you with rocket motion, but Midline Lead is the easiest to install and the one that is used most at the collegiate level. The other prime option you have is play action. An advantageous consequence of using the Blast adjustment to Rocket Toss is that it fits in very nicely with the Switch Pass, which I called ”The One Must in the Play Action Game” earlier this year. 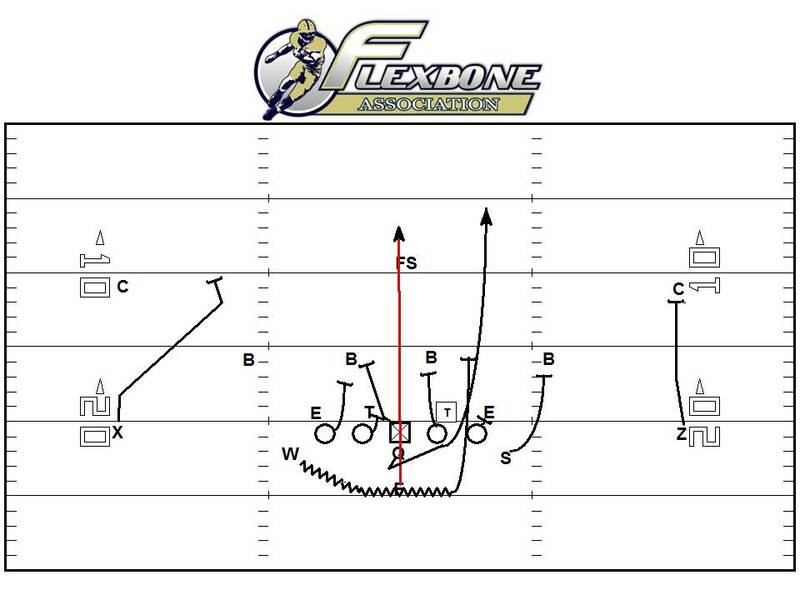 Here is an example of Georgia Tech running this play action concept with Rocket Toss action. As stated in the previous article on play action passing, your play action game has to look like how you block the perimeter when running either Triple Option or Rocket Toss. The other determination that has to be made is how is the secondary responding to the rocket motion? 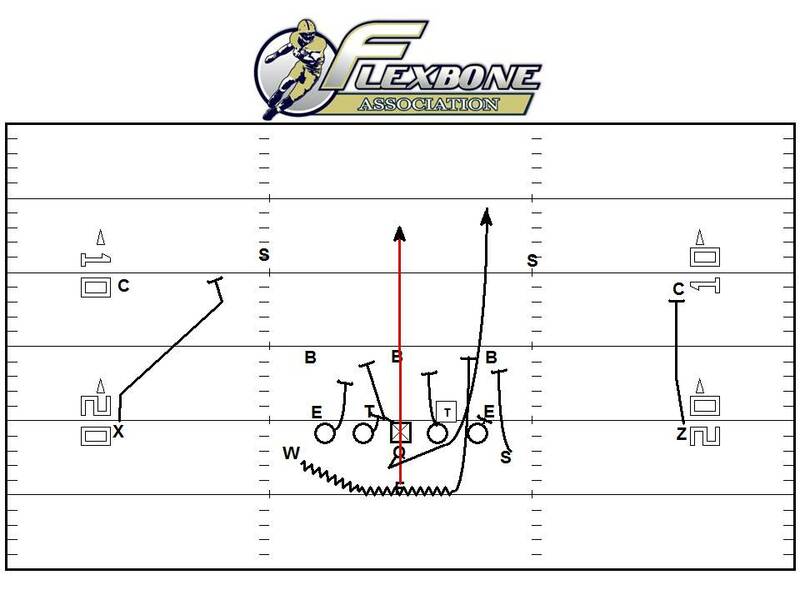 Is the play side corner coming for pitch with the free safety running over the top? Is the free safety running the alley with the corner staying deep? You may also have to look at what the defense is doing in the secondary on the backside. Rocket Boot Pass is especially effective against lazy backside defenders. It also is a good play action pass that goes against the run flow, to counteract the fast flow look the defense will give to the rocket motion. Part five will cover how to combat fast flowing five techniques and linebackers. As we near the close of the 2013 calendar year and look forward to 2014, ask yourself where your program will be in the fall. How prepared will your team be? Will you be confident your team will be ready to take on all obstacles? Put the Flexbone Association to work for you.